KeePass vs. Secret Server | Looking for a KeePass alternative? Have you ever wondered how KeePass compares to Secret Server to Manage your Passwords? KeePass lacks authentication – the master key does not identify users; Secret Server does not have this problem. All these factors make KeePass a great tool for an individual but severely lacking for an IT admin team. 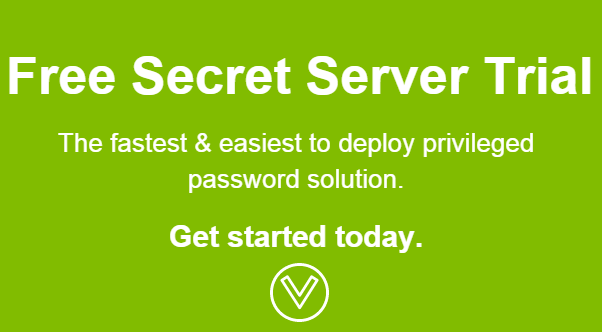 Secret Server is the top KeePass alternative – specifically designed for IT admin teams. Want to see how Secret Server stacks up next to KeePass and LastPass? Try Secret Server FREE for 30 days by completing the form on the right. It comes with full support! Or, browse Secret Server’s other features. They’re continually improved based on feedback from frequent users, so we know they’re the best!